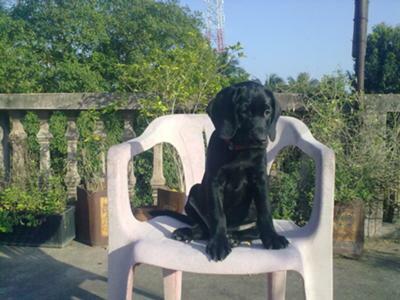 My black labrador Monyt,is a very sweet and caring dog. After he comes in life my life has been totally changed.I get a great friend. Now he is 7 months old. He become a part of our family. He is very clever and obey all my orders snicerly.